PDP-11/04 - Restoration - Finished! Published in 1972 by DYMAX. This is nice little booklet by Bob Albrecht on the BASIC language. Link to an interview with the author Bob Albrecht. I asked the author, Bob Albrecht, about permission to make it available online. 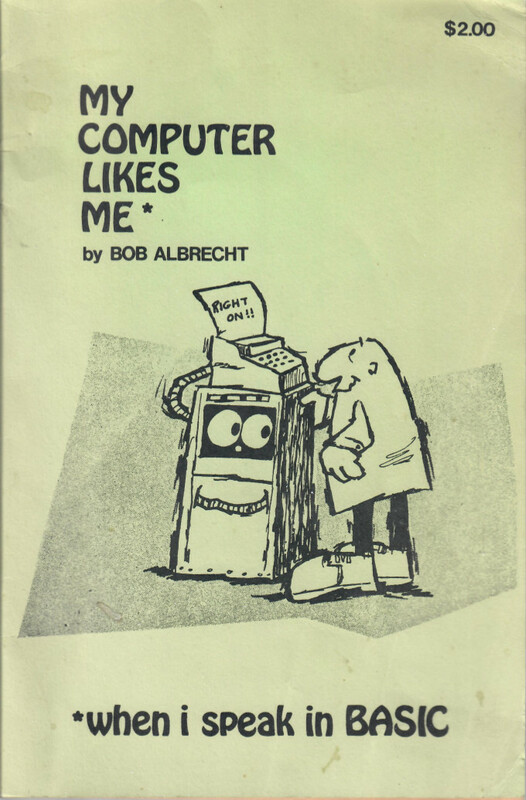 Bob responded within a few hours: "I am gleefully happy that you put My Computer Likes Me online." Thanks to Steve Shumaker for deskewing and noise removal of the PDF file.